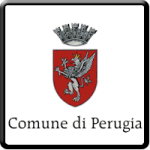 Municipality of Perugia is the Local Government of the city of Perugia. The Municipality governs Perugia on behalf of its citizens safeguarding their rights and interests according to principles of democracy. Perugia Municipality is composed of three strategic areas and eight sectors covering all competencies and functions allocated to the Municipality. Each sector is composed by Operational Unit. The Unit which is involved in transport and in management of administrative relationships with local transport operators is the “Mobility Unit”, that is currently involved in many European and National funded projects for promoting sustainable urban mobility. In the framework of LIFE+ project “H2POWER_Hydrogen in fuel gas”, the Municipality plays the role of Project leader and carries on mainly technical, financial and administrative coordination activities. 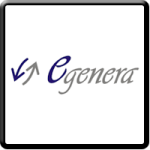 Egenera srl was born in 2008 to provide innovative solutions dedicated to generating and saving energy, to respecting and protecting Environment, always ensuring a high standard of quality. It manufactures plants for generation of energy and low environmental impact structures. Its priority is to invest in technology and innovation in order to allow an efficient use of resources. Main areas of intervention are: ENERGY SAVING, ENERGY PRODUCTION, ENERGY RECOVERY, RESEARCH&DEVELOPMENT. In the framework of LIFE+ project “H2POWER_Hydrogen in fuel gas”, Egenera plays the role of Scientific Manager, dealing with the coordination of all project’s technical activities, of technical interventions planning and supervision of external activities of technical assistence. I&TC is a European company with a high added value. Since 1996 it has developed its business in the information technology and telematics fields. The company boasts expertise in the field of Informatics Technology, in particular in consultancy and assistance, in reviewing business systems: ERP and CRM system implementation projects: We assist client companies in developing their IT systems and in controlling IT costs. LAN security and access investigation Verification of the level of Intranet security. 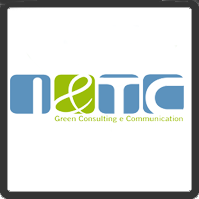 In the area of Comunications, I&TC is the Company partner in media communication, marketing, Web design and organization of specialized meeting. In the framework of LIFE+ project “H2POWER_Hydrogen in fuel gas”, I&TC is in charge the aspects of capitalization, image care and activities finalized in communication-dissemination of results among stakeholders. 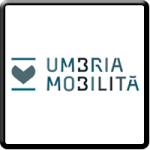 Umbria Mobilità is the Company that reunites the public transport companies active in the Umbria region: APM, ATC, FCU and SSIT. The existing servicicies unwind for 30.7 million km, of which 28.4 on rubber and 2.3 on iron, and carrying 31.8 million passengers, of which 1.3 on railway, which adds more than 14 million of alternative mobility and 307 thousand of navigation service on Trasimeno Lake. The company has 734 buses, including 116 methan buses, 22 electric and 51 trains. Umbria Mobilità will acquire all of the activities carried out by the companies that aggregates: car parks, production of energy from renewable sources, experimenting with new technologies such kits “dual fuel” anti-escape turnstile as well as, of course, the traditional services of TPL navigation on road, rail and with fixed installations. TAMAT is an NGO and a vocational training center certified at the Ministry of Foreign Affairs, with the legal set in Perugia and with two others operational sets in the Marche and Lazio Regions. 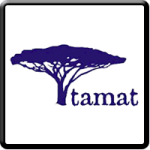 Since 1995, Tamat works in Italy, Europe and in the Developing Countries to foster sustainable and fair development, working in the field of agriculture, environment, sustainable tourism, mediation of conflict, micro credit and development of micro-enterprises. Within H2POWER project, Tamat is in charge of the Monitoring (act. 2) and Communication (act.3) actions.